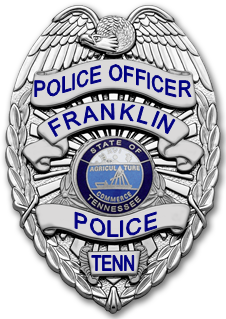 Franklin, TN – Franklin Police are investigating a possible abduction attempt of a six-year-old girl from an apartment complex. At 5:18pm, officers were dispatched to the 300 block of North Royal Oaks Boulevard after parents reported the incident. The child was reportedly outside, with a parent nearby, when a white male with dark hair, driving an all-white hard-top Jeep Wrangler, approached the child and offered her a ride. When the child walked away towards her mother, the man left the area. While there is no way to concretely know the man’s intentions, the Franklin Police Department takes its responsibilities to protect children and inform the public very seriously. Our hope is, if this man had no ill-intentions, that he come forward and allow us to put the community at ease. Parents are encouraged to use this as an opportunity to talk to their children about stranger danger. Anyone with information is urged to contact Franklin Police.